As with any complex process, the successful completion of a development project depends upon the establishment of carefully considered goals and objectives. Whether a new building is intended for personal investment purposes or as an integral component of a business operation, its development can be one of the most complex and demanding processes to manage. Red Arrow Corp. manages the process from conception through completion with an approach that has been perfected over time to protect the owners' interests while delivering each project on time, within budget and to the design standards desired. Red Arrow Corp. understands that the hundreds of decisions made during the earliest stages of development determine how well a building will operate and satisfy its objectives, all of which affect near-term and long-range revenues, operating costs and value. Red Arrow’s proactively approaches every property as its own investment, giving it the special care and attention to detail that enhances value and helps to minimize overall costs. This approach is based on our own ownership experience and is centered around the owners and or developers involvement in each stage of project development. The owner/developer sets the project goals and objectives while Red Arrow’s role is to ensure these are achieved by guiding the development process on behalf of a well-informed client while together following these 7 simple but in-depth steps. 1- Define Project- Does your project need a permit? 2- Site Information- Are there site constraints on your project? 3- Discretionary Review- Does your project require special approvals? 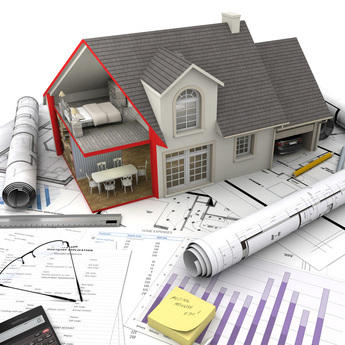 4- Plan Review- Does your project comply with building and land development codes? 5- Permits & Approvals- Do you have everything you need to obtain your permits & approvals? 6- Inspection- Are you ready for an inspection? 7- Occupancy- Is your project complete? The result is a development that meets the owners' goals and exceeds expectations. Red Arrow Corp offers comprehensive property maintenance services for property owners. From routine maintenance to preventative and restorative work, Red Arrow Corp. has the knowledge and experience to properly care for commercial and residential property. To help assure the highest degree of quality and performance, Red Arrow Corp. employs its own dedicated staff to serve the needs of its clients. We charge only for the services that you receive, nothing more. In addition, if specialized property maintenance services are required beyond the scope of our expertise, we'll arrange for those services with one or more of our trusted associates and follow through to ensure that the work is completed in a timely efficient and effective manner. When it comes to getting the job done, Red Arrow Corp. delivers! Properties under our care receive the attention that you want and that they deserve. We recognize that the property's appearance is a reflection on you as owner and on us as the maintenance firm. Red Arrow Corp. Property Maintenance Services Provides commercial and industrial services. No repair, construction or renovation project is too big, or too small. We are your 1-Stop-Shop for all your maintenance needs, from residential and commercial building maintenance to unit renovations, mowing, snow removal or anything in between. We take our responsibilities seriously! Healthy lawns start with healthy roots. Red Arrow lawn care service professionals provide an exclusive formulation of nutrients for the attractive lawn you’ve always wanted. We provide complete lawn care services, from fertilization to grub control and pest and disease management solutions. We don’t stop at your there, our team takes a holistic approach by providing lawn and landscape services. Keeping well-maintained lawns is a great way to compliment your property, your investment your business and create a healthy and beautiful landscape. See below to find out how our team of lawn and landscape pros can help. We also provide lawn renovation and restoration services. Consider core aeration to improve the penetration of air and water into the soil, encouraging deeper root growth and better turf quality, and over-seeding and slit-seeding to thicken the turf, helping to reduce the establishment of undesirable grasses and broadleaf weeds.